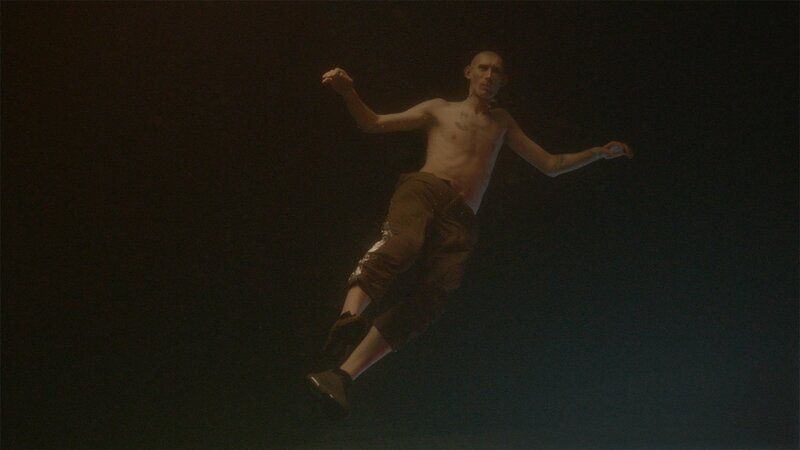 In recent years a generation of Russian filmmakers, artists and musicians has been on a mission to find new contemporary aesthetics to artistically reflect day-to-day existence in the post-Soviet environment. Badlands, the new short film by Alexander Epikhov, is a very successful example of working with the unremarkable urban space of Moscow to capture its relation to history and humanity. And definitely not in the way you would expect. The film was produced by film collective ELLI, which Epikhov belongs to, and made in collaboration with musician Karina Kazaryan, responsible for the haunting dark soundtrack, and independent modelling agency Lumpen for the unusual faces representing Russian youth today. Together, these elements launch the viewer on a surreal journey from a mysterious car park into the depths of one’s consciousness, the void between past and present. “When choosing textures, faces and context, we were confronted with a question of reality which seemed lucid and difficult to fix in that oftentimes it appears that, here, truth is consistently veiled,” Epikhov adds.